Magnesium is an important mineral that is needed in the body for the heart to work correctly and for blood pressure to be regulated. For those who have a lack of magnesium in their diet or have difficulty absorbing nutrients due to gastrointestinal issues, it can be easy to suffer from magnesium chloride deficiency. Synthetic fertilizers that are used on crops are an additional cause of magnesium deficiency even if you’re consuming foods that should contain the mineral. Insufficient soil has an impact on how nutrient-dense food is, which can make it difficult to obtain adequate minerals. Once a magnesium deficiency begins to develop, you may notice that muscle twitching starts to form on different areas of the body or face. The twitching can become more severe over time if the magnesium levels don’t increase. The spasms can be accompanied by muscle cramps, which can occur at any time of the day or night and can be difficult to control. You can obtain short-term relief by stretching and massaging the muscles until the discomfort subsides. You’ll want to increase your intake of foods that include spinach, bananas, avocados, dark chocolate swiss chard, and pumpkin seeds to obtain more magnesium chloride benefits. Although it’s normal to suffer from fatigue at times, you may notice that you’re tired on a daily basis if you have a lack of magnesium. Magnesium is responsible for transporting energy, which can make your energy levels lower than where they need to be if you don’t have sufficient amounts of the mineral. Supplements can improve your levels and allow you to feel more alert throughout the day. The fatigue may also be accompanied by dizziness, which can last all day and is difficult to find relief for if you’re unaware that you have a dizziness. In severe cases, the dizziness can lead to vertigo as your levels continue to decline. 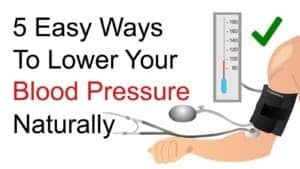 You’ll need to visit a medical professional if the dizziness continues over time to learn how you can obtain the necessary magnesium chloride benefits. Many people who are suffering from low magnesium levels don’t realize that they can begin to have changes in their personality or can suffer from stress or panic attacks. You may find yourself becoming more irritable or confused. Other people may feel overwhelmed by challenging circumstances and can begin to suffer from anxiety. Anxiety attacks may also become more frequent as the stress begins to dwindle the magnesium levels in the body. Although low magnesium chloride levels can lead to a lack of energy, it can also result in sleep difficulties at night despite how tired you are after a long day. 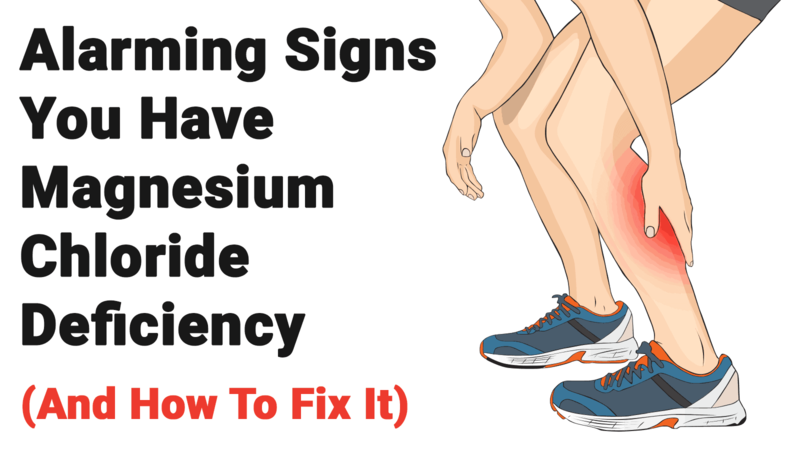 You may find yourself tossing and turning, especially with restless leg syndrome that can develop when you’re lying in bed. Applying magnesium directly onto the skin can allow it to be easily absorbed and can work as a treatment method for insomnia and restless leg syndrome. Pre-made magnesium oil will prove to be useful and can also be ingested orally. Additional magnesium chloride benefits include the normal functioning of the heart, muscles, nerves, and cells. You may eat a healthy and balanced diet but begin to suffer from high blood pressure due to a lack of magnesium in the body. One of the main magnesium chloride benefits is keeping blood pressure at a healthy level because it prevents the blood vessels from constricting. You may need to supplement with 368 mg of magnesium each day for three months to reduce your blood pressure and improve your health. Vitamin D can begin to drop in your body because magnesium is necessary to process it, which can result in a nutrient deficiency. 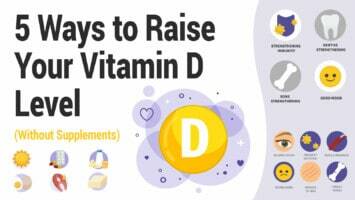 Many people make the mistake of supplementing with vitamin D, which will cause the body to draw what it can from the muscles, resulting in leg cramps. By understanding the alarming signs of a magnesium deficiency, it can be easier to make changes that can improve your health and well-being. With supplements and by eating specific foods, you can obtain more magnesium chloride benefits.